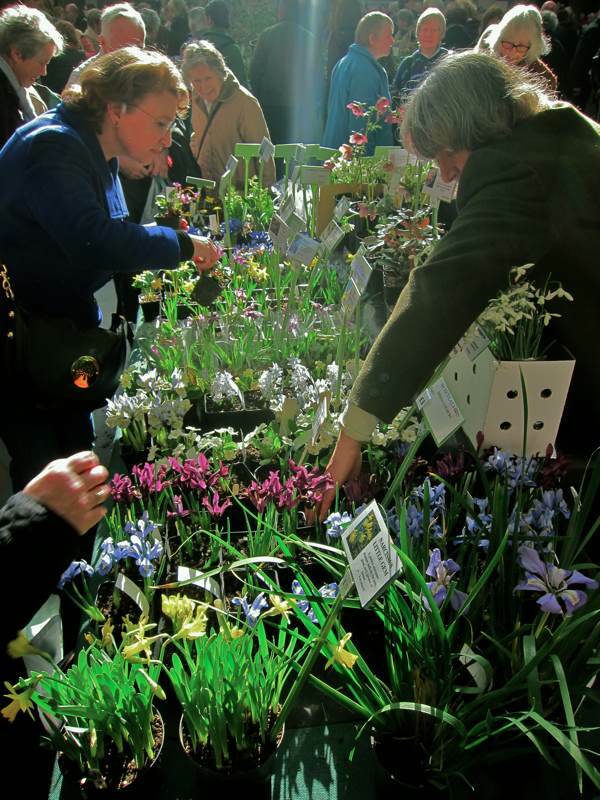 There may yet be another month before spring begins, but inside the Royal Horticutural Hall in Victoria it arrived with a vengeance last week. 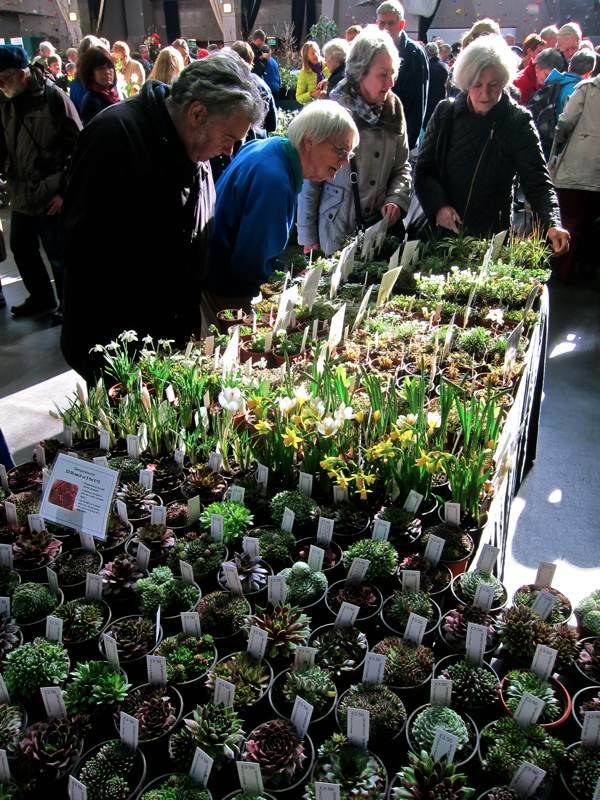 The occasion was the RHS Plant & Design Show held each year at this time, which gives specialist nurseries the opportunity to display a prime selection of their spring-flowering varieties and introduce new hybrids to the gardening world. I joined the excited throng at opening time on the first day, entering the great hall where shafts of dazzling sunshine descended to illuminate the woodland displays placed strategically upon the north side to catch the light. 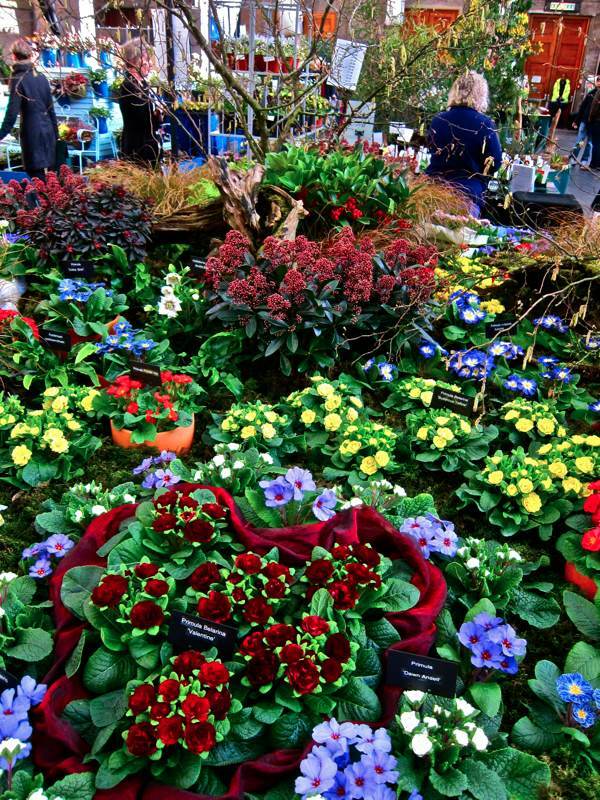 Each one a miracle of horticultural perfection, it was as if sections of a garden had been transported from heaven to earth. Immaculate plant specimens jostled side by side in landscapes unsullied by weed, every one in full bloom and arranged in an aesthetic approximation of nature, complete with a picturesque twisted old gate, a slate path and dead beech leaves arranged for pleasing effect. 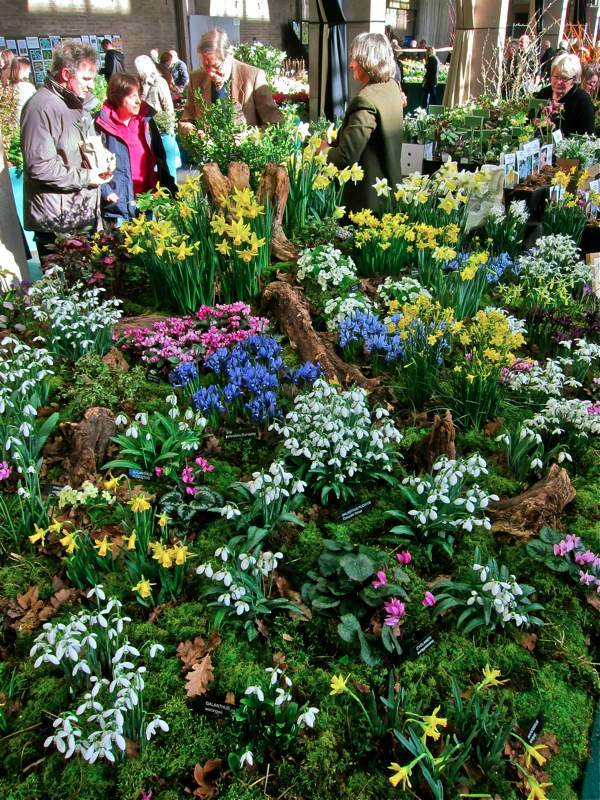 Awestruck by rare snowdrops and exotic coloured primroses, passionate gardeners stood in wonder at the bounty and perfection of this temporary arcadia, and I was one of them. Let me confess I am more of a winter gardener than of any other season because it touches my heart to witness those flowers that bloom in spite of the icy blast. 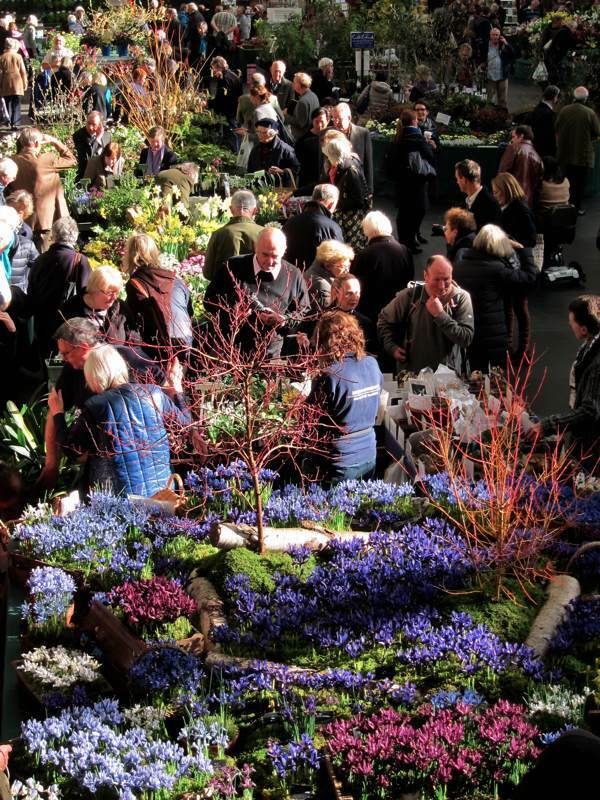 I treasure these harbingers of the spring that dare to show their faces in the depths of winter and so I found myself among kindred spirits at the Royal Horticultural Hall. 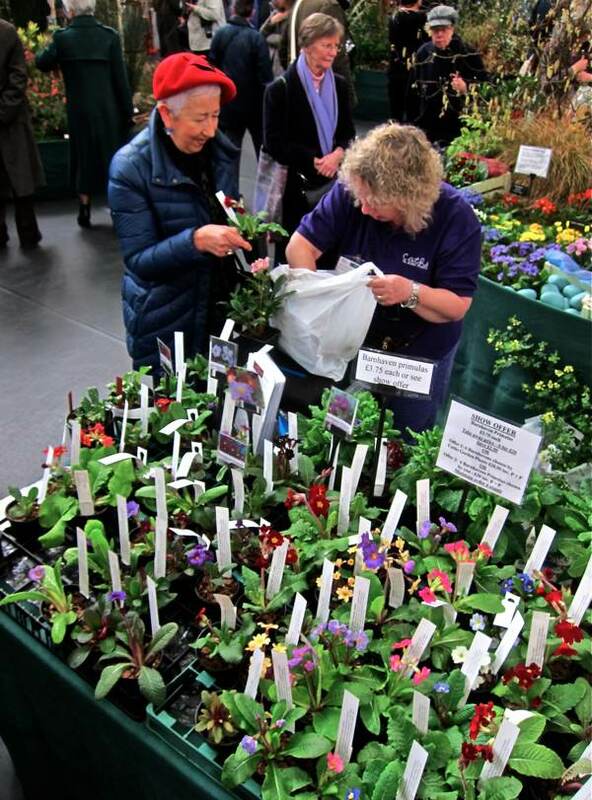 Yet these flowers were not merely for display, each of the growers also had a stall where plants could be bought. Clearly an overwhelming emotional occasion for some, “It’s like being let loose in a sweet shop,” I overhead one horticulturalist exclaim as they struggled to retain self-control, “but I’m not gong to buy anything until I have seen everything.” Before long, there were crowds at at each stall, inducing first-day-of-the-sales-like excitement as aficionados pored over the new varieties, deliberating which to choose and how many to carry off. 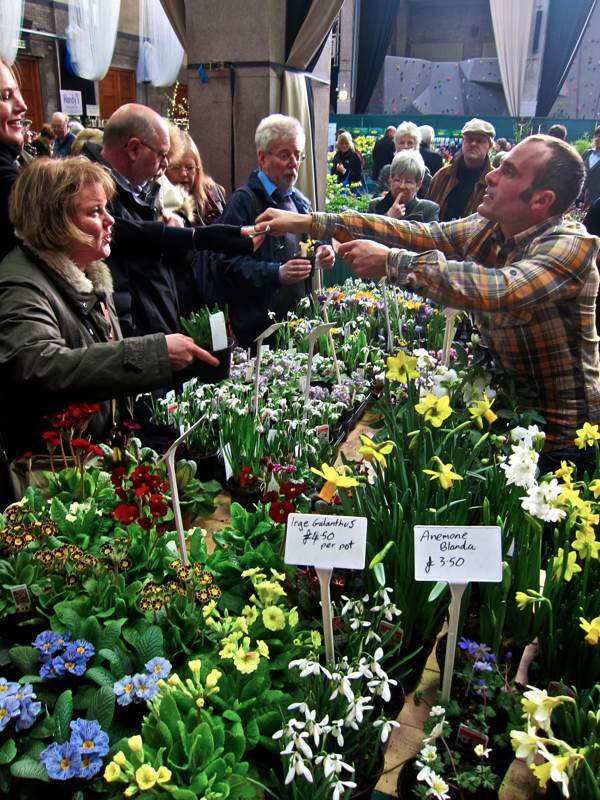 It would be too easy to get seduced by the singular merits of that striped blue primula without addressing the question of how it might harmonise with the yellow primroses at home. 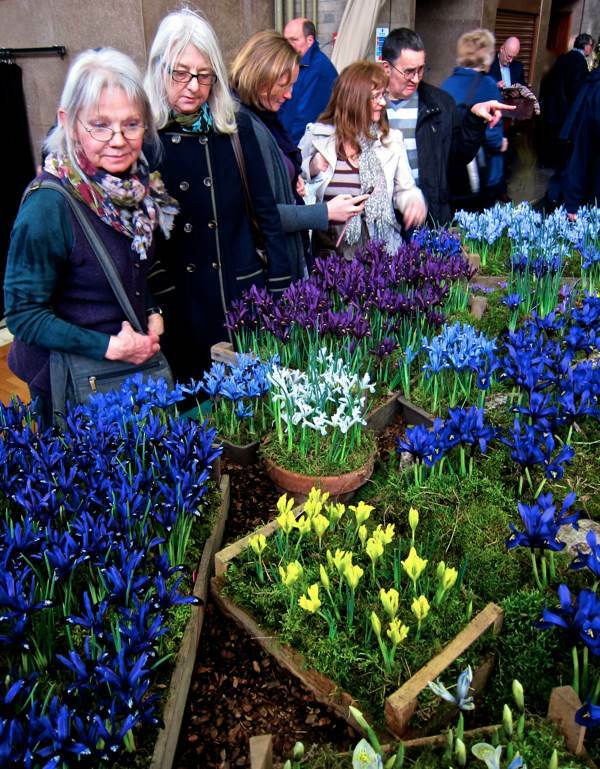 For the nurserymen and women who nurtured these prized specimens in glasshouses and poly-tunnels through the long dark winter months, this was their moment of consummation. 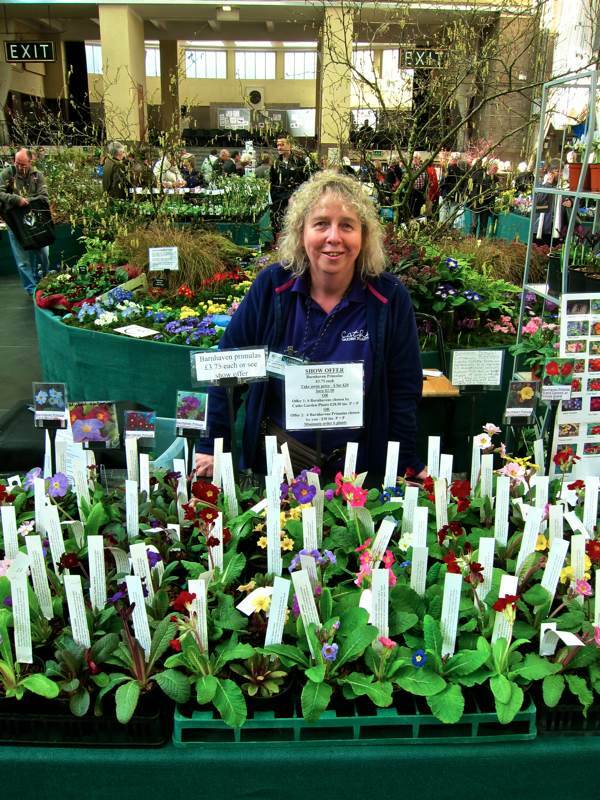 Double-gold-medal-winner Catherine Sanderson of ‘Cath’s Garden Plants’ was ecstatic – “The mild winter has meant this is the first year we have had all the colours of primulas on sale,” she assured me as I took her portrait with her proud rainbow display of perfect specimens. 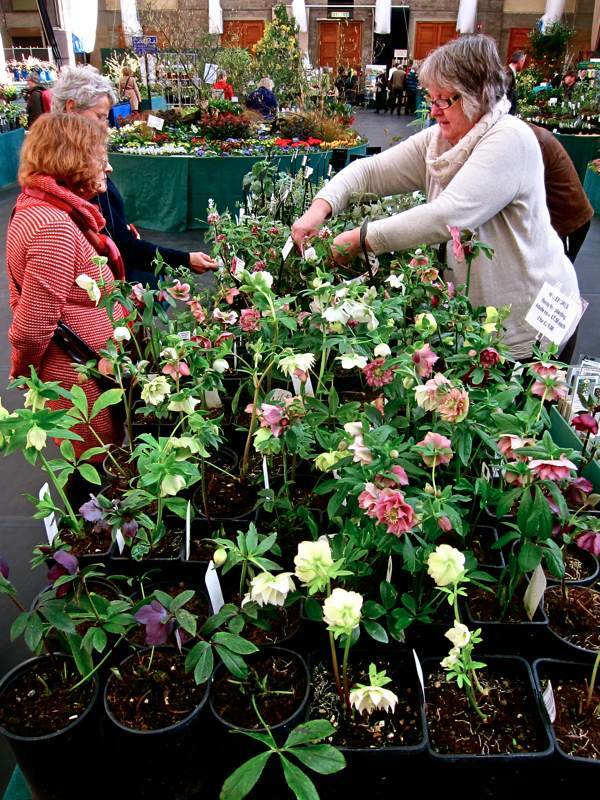 As a child, I was fascinated by the Christmas Roses that flowered in my grandmother’s garden in this season and, as a consequence, Hellebores have remained a life-long favourite of mine. So I was thrilled to carry off two exotic additions to a growing collection which thrive in the shady conditions of my Spitalfields garden – Harvington Double White Speckled and Harvington Double White. 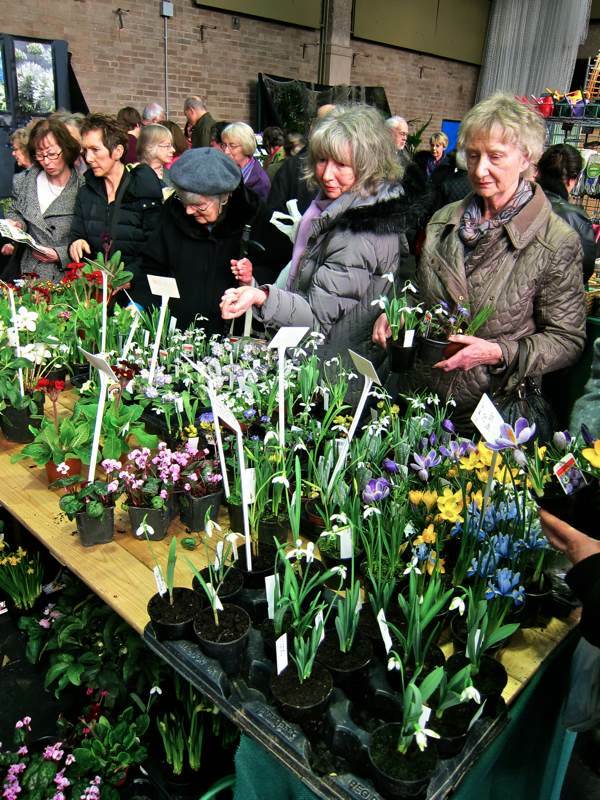 Unlike the English seasons, this annual event is a reliable fixture in the calendar and you can guarantee I shall be back at the Royal Horticultural Hall next year, secure in my expectation of a glorious excess of uplifting spring flowers irrespective of the weather. Wonderful colour, movement, vigour. Thank you for this post. What a lovely and colourful display. 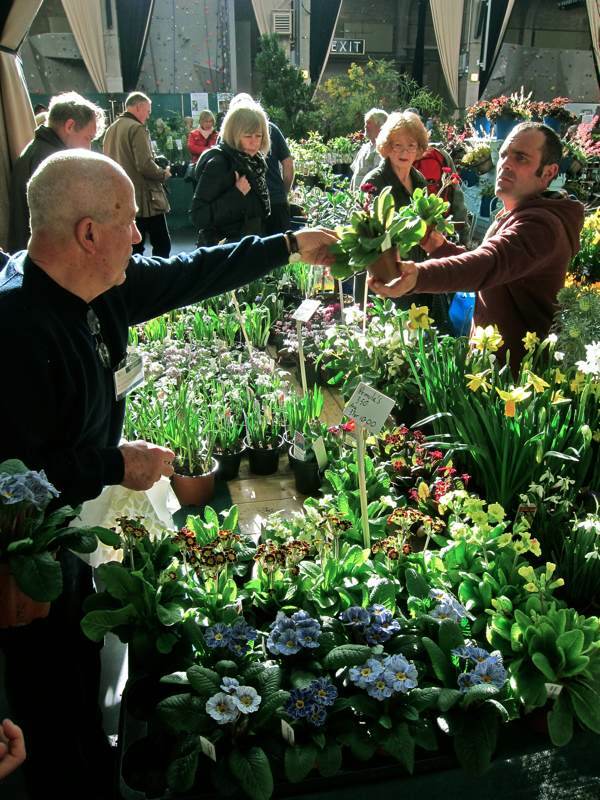 I can understand the “being let loose in a sweet shop” feeling and seeing all those wonderful flowering plants makes me want to start the gardening season now. 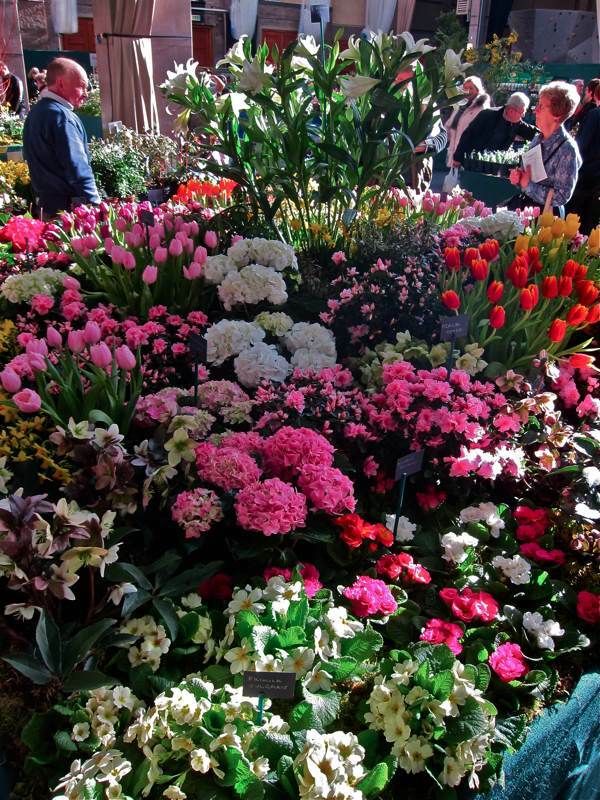 Thanks for sharing such a lovely display of colour – it makes spring seem a little closer and I will definitely try to make it to the show next year. Beautiful! A lovely cheerful post to read on a grey windy day. 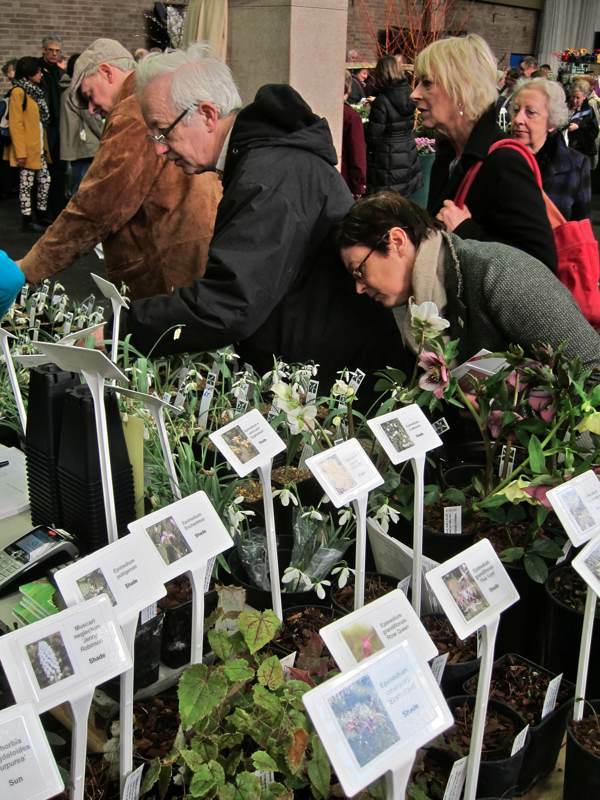 Thank you so much for the lovely photos, so much appreciated as I can no longer get up to the RHS shows. So sweet to see all those English Gardeners trying to accomplish their own Arcadia — since my visit to Sissinghust I can feel something similar…! So lovely to see a lot of colour instead of gloom and doom. !!! A treat to see these pictures in the gray and white dreariness of a North American winter. Thank you! Smashing photos. 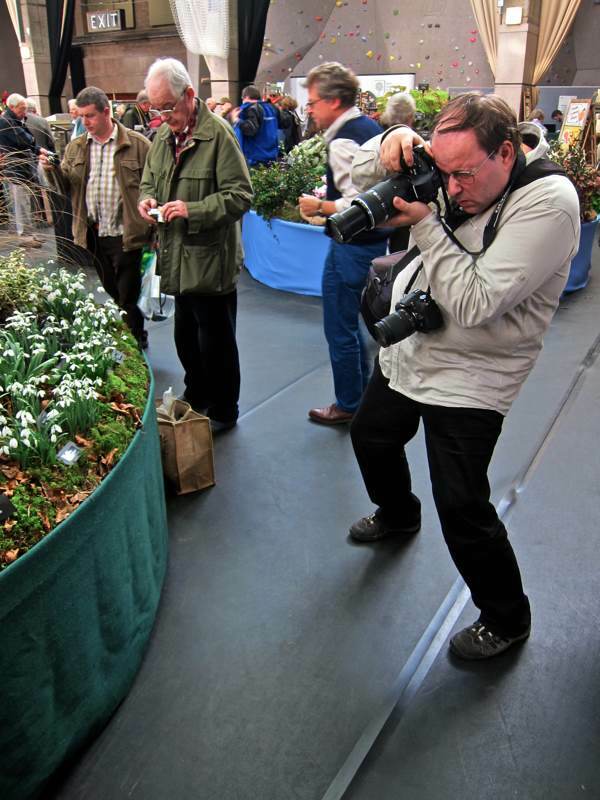 I think the best flower show in town every year. One can see that it’s a serious business buying those treasures to be planted out in a couple of months. I love hellibores and have grown wuite a few from seed that were reasonably successful. 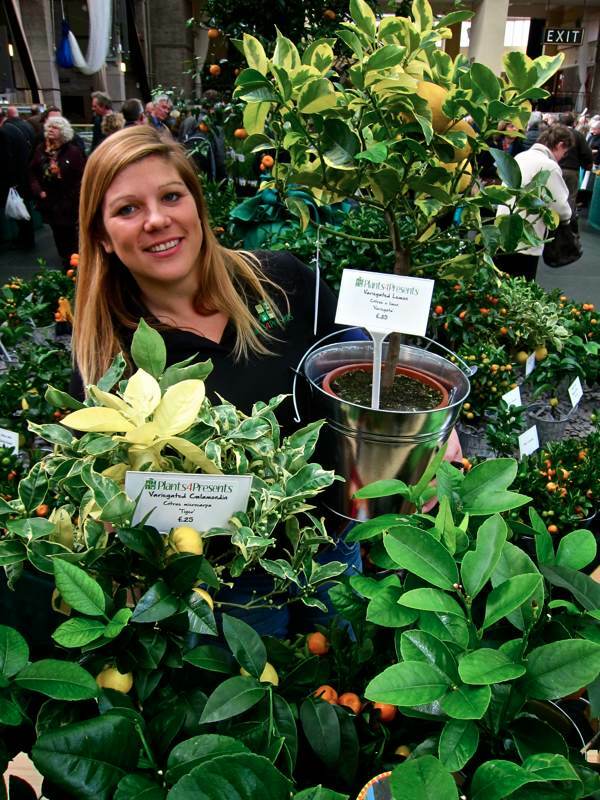 Who was the grower that had all hellibores on her stand as I noticed a lovely double pink, which if I had been there I would certainly have purchased! 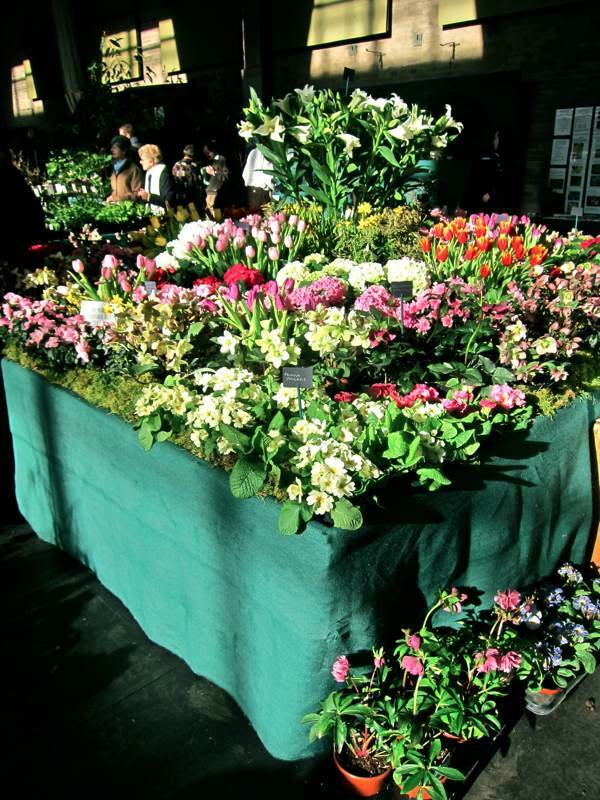 Thanks for a lovely spring flower display, so very cheering! 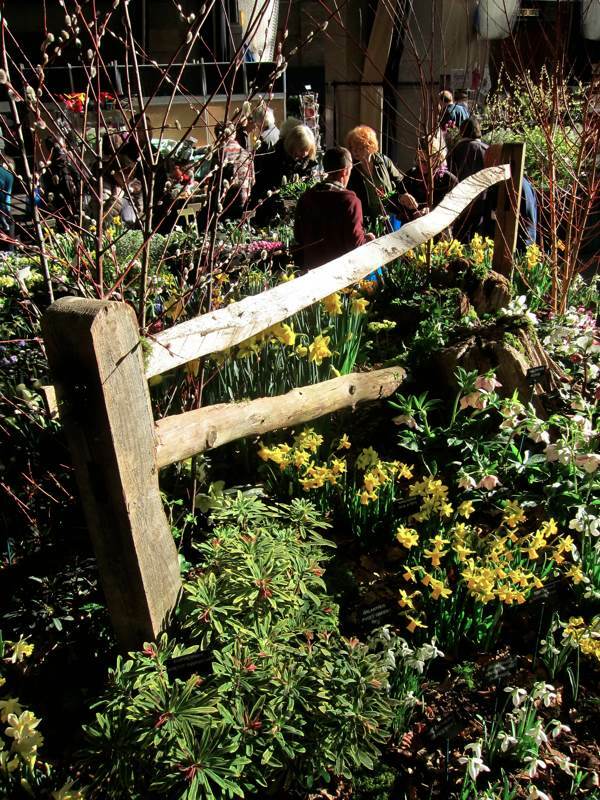 You are indeed moving in the upper echelons of horticultural society to be invited to a R.H.S. first day ! 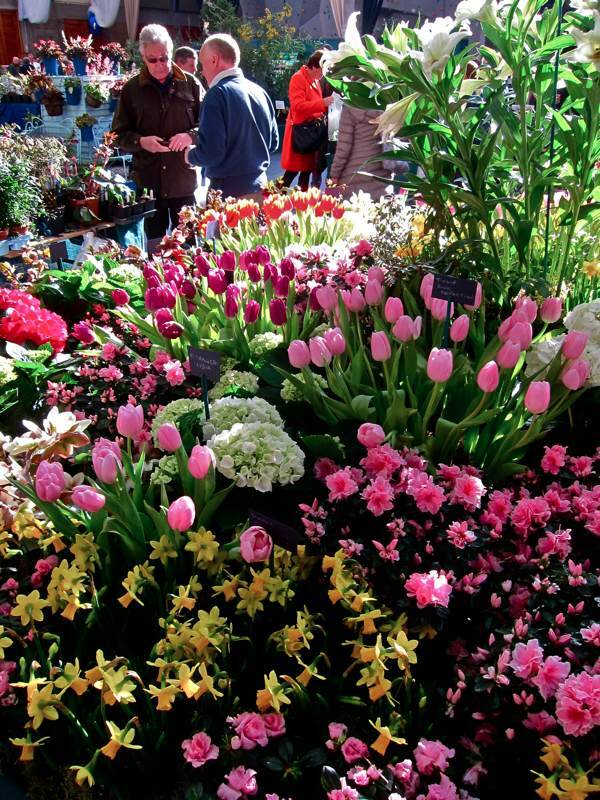 Lovely images of spring flowers what an uplifting change after all this winters storms and floods! 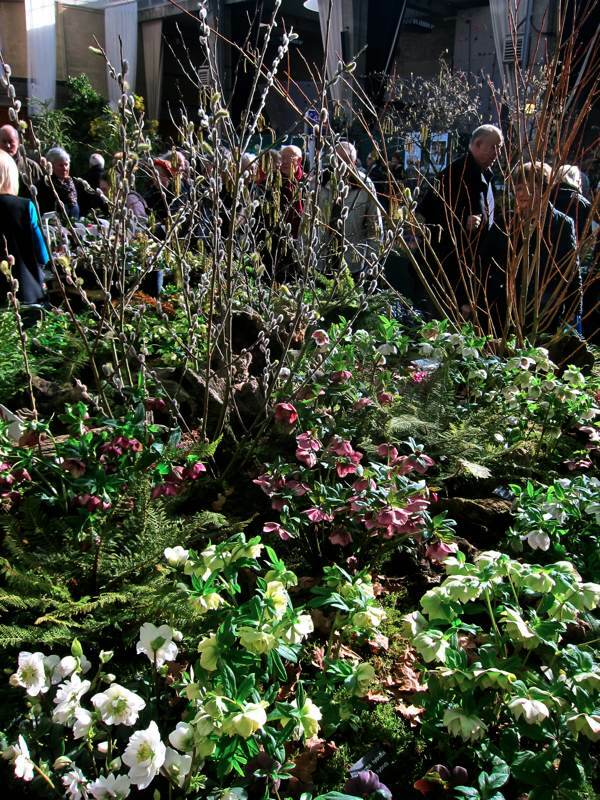 Enjoy the new hellebores in your Spitalfields garden! I waited in line and paid my shilling like everyone else, Gary! What a lovely post certainly has put a spring in my step today. 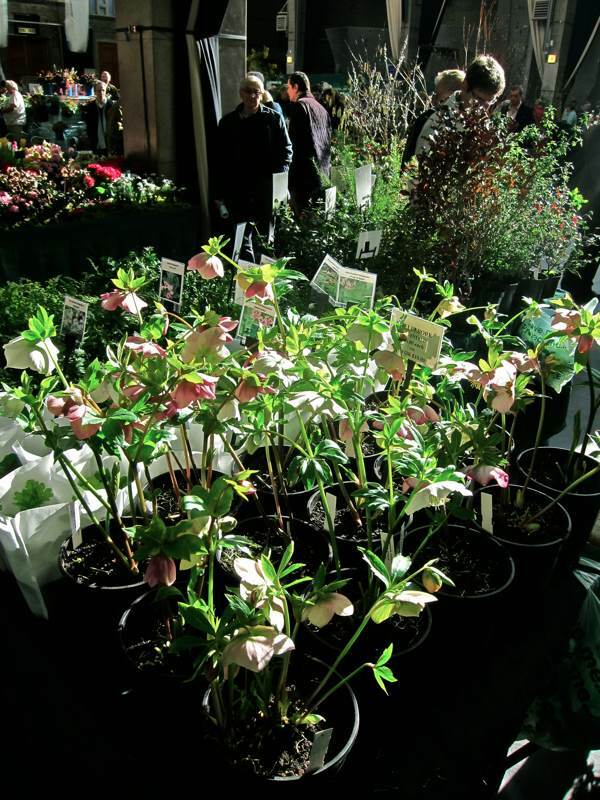 Oh,how beautiful!I love Hellebores my favourite spring flower of all!